What I didn’t know is that the “in stock” items are simply items available for purchase, but they are made to order. I hadn’t thought to check her about me page, where I would have seen the estimated 2-3 week turnaround. I learned my lesson there and will always read “about me” pages before I buy! 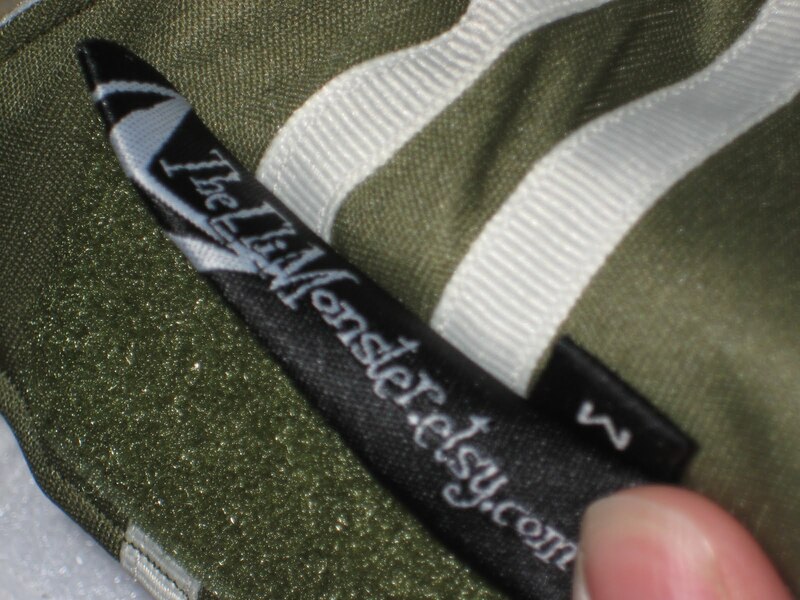 If you purchase a diaper from The Eli Monster, you can expect better quality than you’d get from the “big name” mass produced diapers. I don’t think I found a single stitch out of place. I’ve only seen one other “work at home Mom” diaper with the impeccable quality of The Eli Monster. Very, very hard to believe that she made this! As it turns out, it’s almost exactly the same size as a Bumgenius 3.0 on the medium setting. I think it looks smaller because it is so trim. 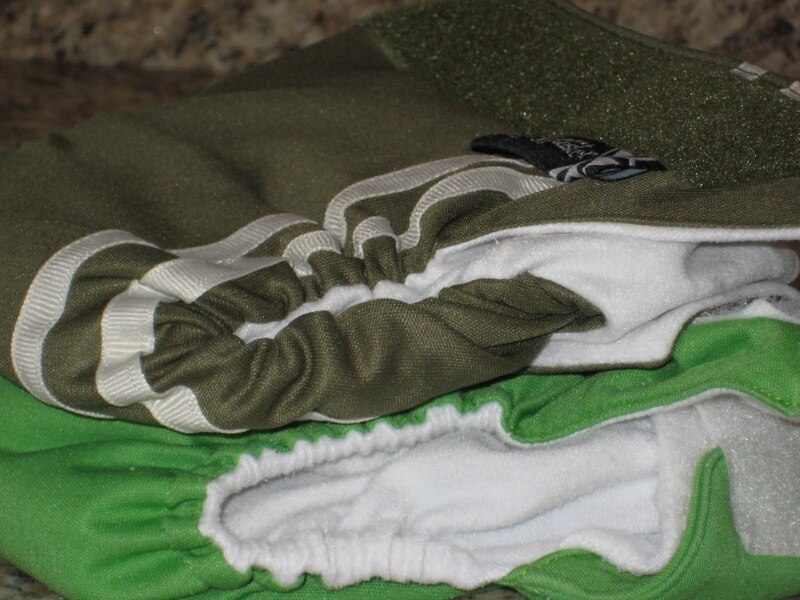 The microcloth internal soaker is extremely thin, and is sewn just through the middle of the diaper. I have to say that I prefer the elastic style of the bumgenius (I guess “cased” elastic is the right term?) Hard to explain, but it seems to be more secure and doesn’t dig in. 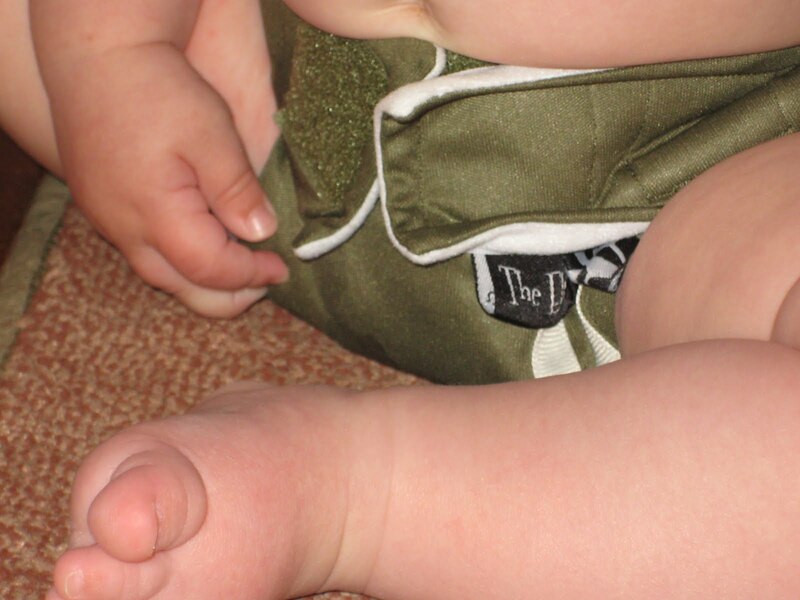 The inner of the diaper is soft suedecloth to keep baby’s bottom dry. There is a hidden layer of PUL, so no cover is needed. 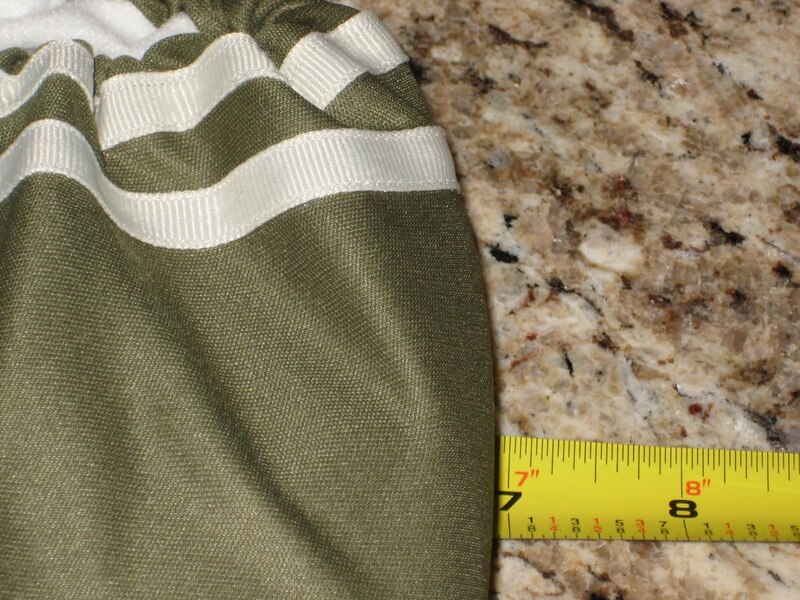 The outer looks like a woven cotton in the pictures, but it’s actually a very soft, nylon feeling material. This diaper is called the “SpeedyPants” and has racing stripes and an applique (hand silkscreened) patch. My husband loved the diaper, he said it looked like a race car. I love this diaper!! It is totally my style; those who know me know I’m not a huge fan of most “baby stuff.” I’ve found solid, stripes and dot patterns that I like OK, but I love, love, love the diapers The Eli Monster makes. At under $20 for an AIO diaper, I think it’s a pretty good deal. I love how trim it is, but it is a sized diaper, so it won’t fit forever. Oops, almost forgot, I was so hung up on how awesome it looks, it performs well too! The problem is now I want one of her camera wrist straps, newborn diapers (and a newborn to go with it!) and this diaper (buy one of those and she will send another to miracle diapers.) I’ll also take one of these and these and these longies. Oh heck, I’ll take one of everything. Hee hee! She has even made prefolds cool. I purchased this item myself, I wasn’t given a freebie or discount. The opinions (and diaper!) are my own.